Since April 55% of the GOP electorate has had to find a new candidate to support. Cain & Perry sucked up 26 points. 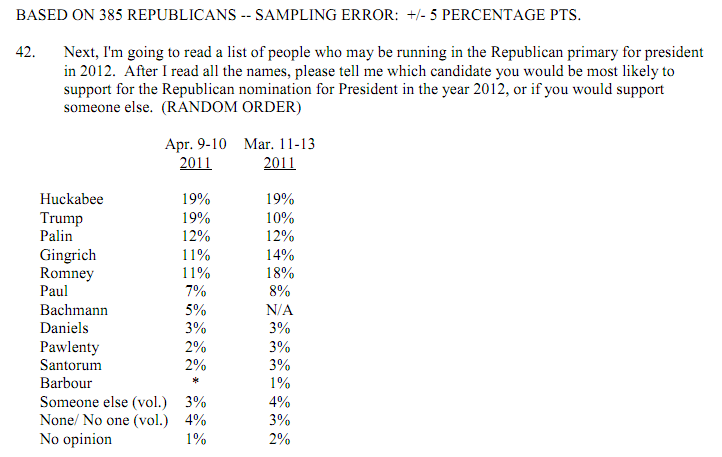 Romney added only 13 points, just two points more than the share gained by Gingrich. The Republican field has changed quite a bit since the spring, and several candidates have surged then fallen back in to the pack. But the most significant constant is that the overwhelming majority of Republican primary voters continue to do what they’ve done from the start: support a candidate other than Mitt Romney.